As a practitioner of natural treatments, you want to use the safest and most effective products for your clients. We provide you with a premium selection of formulas for herbal pain management in Olathe, Colorado. 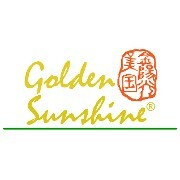 Ancient wisdom and modern technology combine to make Golden Sunshine's herbal pain relief products the best solution for your pain management needs. Our analgesic products include ingredients like frankincense and myrrh, and they have been featured on Dr. Oz's Pain Solutions. 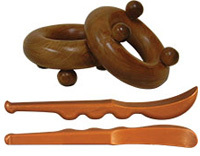 These are professional-grade products sold exclusively through licensed health care practitioners. All categories except herbal sprays now incorporate our far infrared technology. Pain management doesn't have to include pharmaceuticals. Our products are perfect for treating arthritis, back pain, fibromyalgia, and migraines without the use of drugs such as opioids. 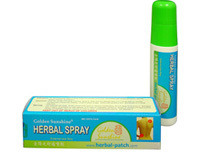 We offer herbal patches, creams, pastes, and sprays to help practitioners alleviate their patients' pain. Our 0.1 oz herbal patches are especially effective for back pain relief, and our herbal sprays are designed for acute injuries, such as sports injuries, sprains, and strains. 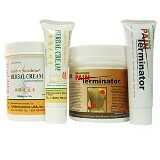 Arthritis pain is best addressed with our PAIN Terminator® Analgesic Cream or Golden Sunshine® Herbal Cream. 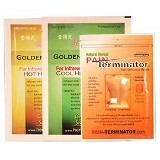 For a stronger treatment, use our Natural Herbal PAIN Terminator® Analgesic Patch. 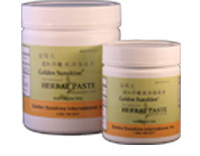 If your problem is serious or long-lasting, ask your doctor about our Golden Sunshine® Herbal Paste, which is applied with dressings in the clinic. The paste is designed to provide deep penetration to the connective tissue and even the bone. For migraines, apply our PAIN Terminator® Analgesic Cream or Golden Sunshine® Herbal Cream to the temples and back of the neck. This can be especially effective if you apply the treatment as soon as you feel a headache coming on.